Fire Emblem wasn’t really a mainstay franchise until Marth and Roy got involved in Super Smash Bros. Melee over ten years ago. Sure, the strategic franchise was known and respected by a decently sized group of followers, but it wasn’t until those two heroes went mainstream that the world started to pay attention to the otherwise niche brand. Since then, we have had a steady flow of Fire Emblem titles spill into the west – with most of the series since seeing critical acclaim and growing demand. Nintendo know that interest does exist now, and have delivered yet another gem into the chest with Fire Emblem Awakening for the Nintendo 3DS. With that said – a new platform can be a big jump for a game of a niche genre. 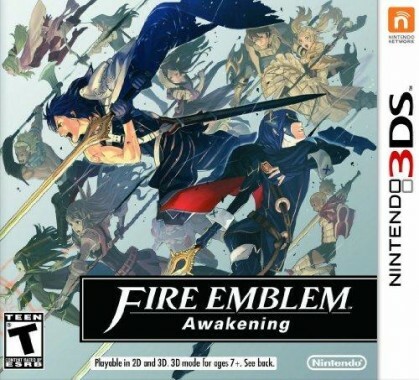 Does Awakening offer a rejuvenation to the realm of strategy RPGs, or is it one first party title that fails to wake up with a new generation? Let’s find out. 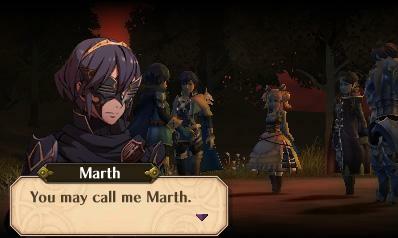 It’s really hard detailing the story about Fire Emblem Awakening as there is so much to it. The main quest revolves around the hero and brave prince known as Chrom recruiting your own personal character to join his army known as the Shepards – who assist in keeping peace throughout the land. Of course there are many tyrants that block this twisty road to tranquility, so the player must go from chapter to chapter and complete missions to take down the evil faction known as the Risen, while learning more about themselves and the humble party that join up as the game progresses. At first, it all sounds like your typical Japanese RPG fare. You know the drill. One character has no recollection of the past (your avatar, if you were wondering), while the other cast of characters are all trying to achieve their own unique objectives. Then the dialogue comes in – and everything gets personal. You see, much like all other Fire Emblem titles, if one character dies, they stay dead. We have seen this before, so that is nothing new. What is a bit different this time is the improvement on how dialogue sequences are handled. Whether it be in a conversation after battle or a cutscene, Awakening is built around trying to get the player to care about every party member’s existence. With so many souls in one game that the player will come across, this sounds like it could easily get overwhelming to keep up with. Thankfully, learning the faces behind the weaponry is an easy task as this title does wonders to individualize all of your party members – letting the player slowly learn the quirks and personalities of their squad in and out of battle. If you lose a character, you feel it instantly, and that attachment is what provides a rich atmosphere for the gameplay, as every move you make must be done with one of these soldier’s lives on the line. I can’t remember every single character from a good number of RPGs after playing – but with Fire Emblem Awakening, there is no forgetting as these deep party members become a family – and just one loss is enough to make it hard not to reset and try again. This sense of attachment goes even further with pairing, as the player can pair up two units in battle (we’ll explain the gameplay aspects of this in a moment). As the two work together to achieve the common goal of victory, the player will be treated to a sequence that improves their bond, and ups the rank in the pair’s relationship. With this aspect, marriage even children are a possibility – but with love comes death – and the fear of having a tightly nit duo split up is sure to keep even the hardest of players engrossed as they make their way through the game. As I mentioned, there is a main plotline. Yes, it’s a very powerful story and is sure to offer incentive to progress, but Fire Emblem isn’t just a one trick pony when it comes to narrative. You – as the player, play God. You decide who lives, who dies, and if the time comes – who will make the sacrifice to complete an objective. Awakening’s plot is all about your own decisions – as they will always stand in the forefront for the experience and mold the outcome of the final chapter. At the core, Fire Emblem Awakening is just like nearly every other game in the franchise when it comes to how the game is actually played. Players have their units start in one set position on a grid based map, and must maneuver them over to the opposing squad in order to clear the battlefield of foes. 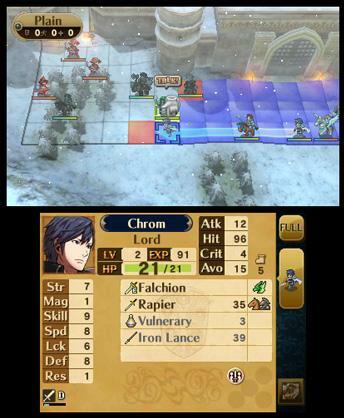 Once two combatants meet up, a battle sequence takes place automatically, where a victor is decided based on the base stats of speed, strength, and defense. It’s a simple formula that makes the normally heavy strategic mechanics accessible to all, with a large layer of depth underlying these simple battles of skill. As each warrior fights, their strengths and weaknesses are exposed. Characters with the sword come into advantage against those using an axe, while the axe best used against the lance – and the lance of course takes its power against the sword. Think of it like a game of rock, paper, scissors in this sense, as every ability or attack has a counter, but also comes with it’s own special advantage. After each attack, a bit of experience is earned based on the outcome of the fight, and those points are used to level up. As levels are gained, each warrior will earn stats to improve their attack, defense, and critical hit chances (also known as luck). Weapons can also be improved in shops by utilizing the forge option – where players can trade their rewards of loot and extra weaponry for cash that is used to repair and strengthen each fighter’s blade. This also works on magic abilities, and adds in a nice level of personal customization for each member of your party. Party members themselves also come with their own classes. Each recruited character enters the experience with their own unique class that offers special skills. These perks can boost stats in battle to tip the scales in your favor – such as increasing the speed stat for a short amount of time or improving attack percentage when put in a specific situation. Five skills can been held at once, while the others are stored away in a skill bank and can be equipped if needed outside of battle. To make matters more interesting, once a certain level is reached, the player can change classes for that character and learn brand new abilities. With over 40 classes in the game, it would take a good time to explain the complex mechanics behind proper promotion, but you can rest easy with Awakening knowing that no playthrough will ever be the same, and that each character will join your party with their own distinct feel from the rest of your current party, which is something that not only assists in killing off repetition, but also is a crucial element on the field. 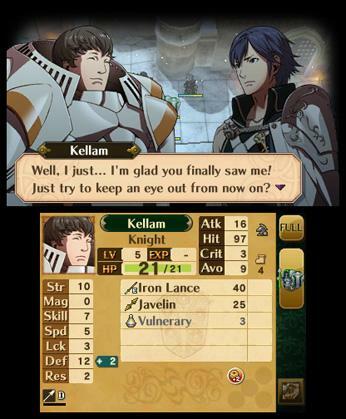 Remember when I said how characters stay dead and how much Fire Emblem Awakening puts emphasis on survival? Well, that is why planning in mandatory when a battle begins and you are placed on the field. Each character – based on their skills and stats – have a specific range that they can travel. Knowing where to place each character is detrimental to survival, as you do not want to leave a weak healer alone with enemies nearby. The AI in Awakening is razor sharp and will flock right to the weak without even taking a glance at a stronger character, so the player must plan where to move their units in order to have a strong defense. It’s a numbers game, and using teamwork is something you will need to get used to to keep that party thriving. 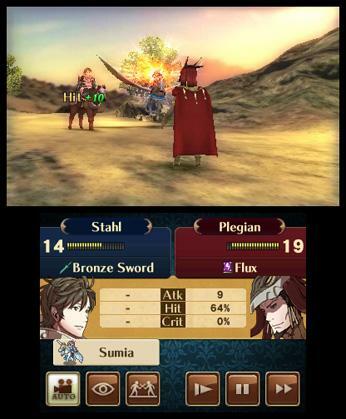 When two characters are adjacent to each other, they will support one another in battle, upping each other’s stats based on their current relationship. 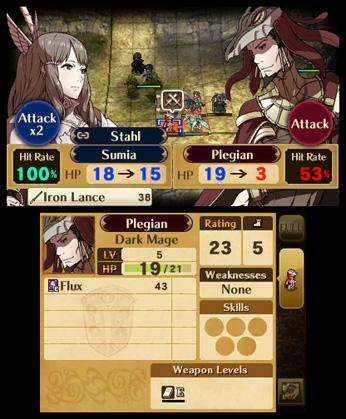 The player can also pair up units, with both characters attacking in one turn. The more you pair up, the stronger a relationship becomes – and that of course leads to great things such as dual strikes and special guarding as a result. Outside of battle – there is still a lot to do. 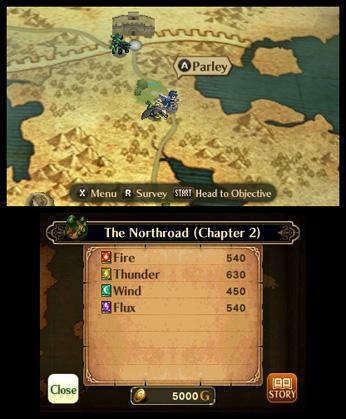 On the world map, challenges will open up to give you a chance to improve relationships and stats through smaller, yet still challenging battles. Shops will also open at nearly every previously visited location, with each holding unique items that grow in power as progression on the map is made. Players can visit the barracks at any time while on the world map as well, giving further opportunities to have interaction between characters, and also providing ways to unlock special weapons that are not seen in shops. You see, Fire Emblem Awakening takes it’s story telling one step further by ensuring that gameplay is constantly effected by the current narrative, so every thing you do, whether it be sacrificing a unit to win, or simply pairing up a new set of allies, matters greatly. I can’t count the times I reset the game due to a fallen ally, but doing so was never out of frustration – it was because I cared about that character enough to try again and sharpen my own strategies. Now, for those who don’t want to risk the lives of their characters and partake in the story as a main objective, a casual mode is included that rids the entire perma-death possibility. Yeah, that does take away from the entire point of the game, but it’s nice that there at least is an option for those who want it. I have played through a heavy number of 3DS games and while each have the option to play in 3D, I usually turn it off after just a few minutes. Awakening is different however, as playing in the third dimension makes the experience even richer. During battles, the player can change their perspective from third person to first by tapping the appropriate option on the screen, and seeing the beautiful art style in full 3D is truly a spectacle. Yes, this is the best looking Fire Emblem game to date, and the heavily detailed characters, whether they are on the field, in a battle, or hamming it up in the barracks are filled with their own personal charms that further one’s own attachment to a particular unit. Environments are just as pretty to look at as well, as the light yet colorful tones keep this rich, old landscape from feeling dull and makes each new area reached a reward in itself. Audio wise, the soundtrack is also up to par with the experience. Yes, the intense melodies for battle sequences and playful tunes during interaction are on point – but the highlight of the music comes at the most somber time…death. Every time you lose a unit, they speak a small bit of dialogue and a shriek is let out – which is followed by a slow, grimacing tune of defeat. Hearing it and seeing this sequence take place is something that can make you flip your power button off at an instant, as yet again, Awakening uses its own features to make the player feel consequence and emotion with every move they make. There is a bit of voice acting mixed in as well, and the actors do a great job at making these units become complete individual personalities – and lets be honest, that is something you just don’t see much on a handheld RPG. We all have things in our lives that we are attached to. Some care so much for their monetary possessions that they would take them to the grave. Others value the earth we inhabit, and defend it by strapping themselves to trees in order to ensure that future generations have something of natural beauty. I however, like probably every person reading this, have people I am attached to. Friends, family, co-workers – you know, the usual lot. 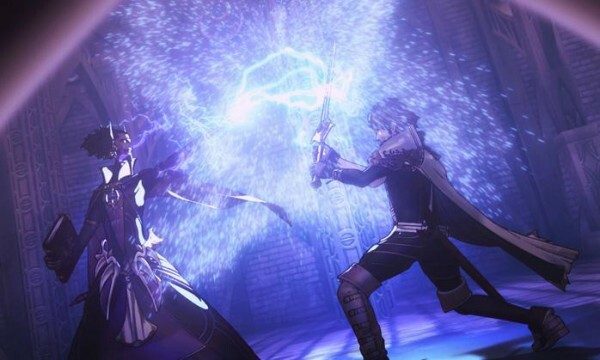 Fire Emblem Awakening may be a video game, but it’s built to play on your emotions, and does a spectacular job at doing so. Every character has their own unique personality, and the punishment for defeat is equal to that of the the rewards for victory, making consequence the greatest lesson to come from this beautiful experience. On top of all that comes a refined gameplay engine, featuring one deep and engrossing strategy RPG that allows itself to be accessible to anyone with a will to survive. Fire Emblem Awakening is just as intense as it is exciting and addictive, making its mark on the 3DS and instantly becoming one of the best experiences to be had on the platform.